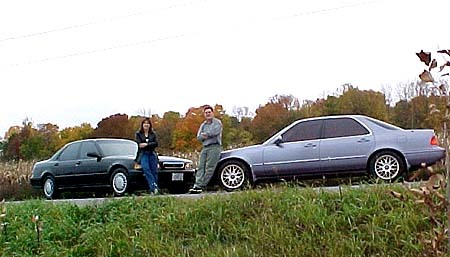 Blonde posing in front of a 2nd gen coupe. 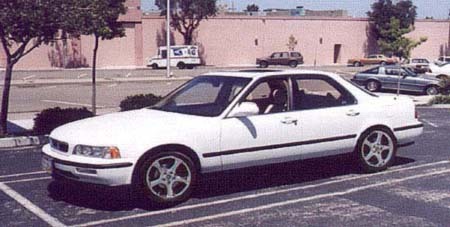 A modified picture of Jason Lee's 1994 coupe to conceptualize Alfred's own Sherwood Green 1993 L coupe, The Sheriff. This is what the Sheriff would look like with upgrades of a custom body kit, fender chrome trim, clear corners, Koni shocks, Eibach springs, 17" Neeper Neptunes chrome wheels, and custom dual exhaust. What Vivian would like look as a coupe. Andrew Gibbons' White 1991 sedan with 17" Funza ZF-5 chrome wheels. 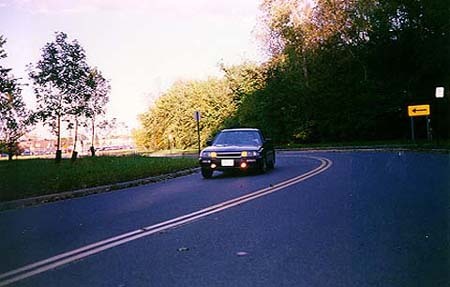 Alexei caught taking corners on his Dark Blue 1988 sedan at break-neck speeds. 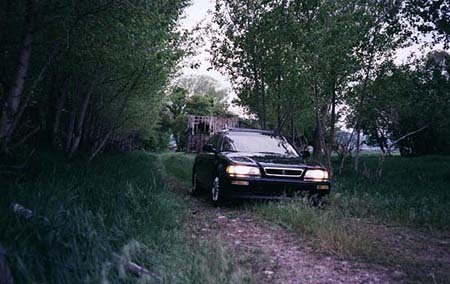 Tyson seen hunting through the jungles with his 1993 sedan. 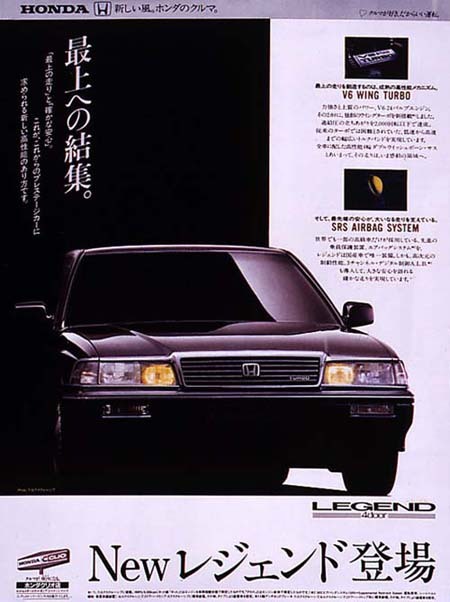 A real ad for the mythical turbo Legend. 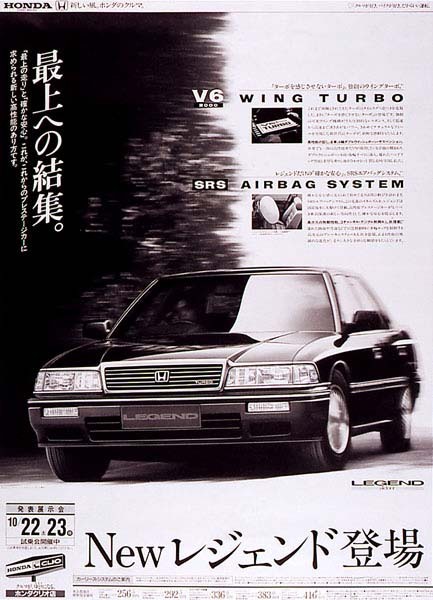 Another ad to prove the turbo Legend's existance. 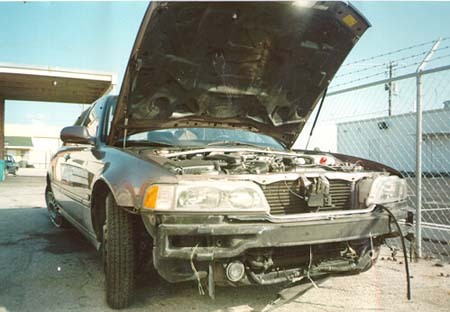 Kevin's 1991's sedan after his accident.